I was traveling on Highway 70 between Mebane and Haw River when this guy caught my eye. I had to turn around and get a second look. 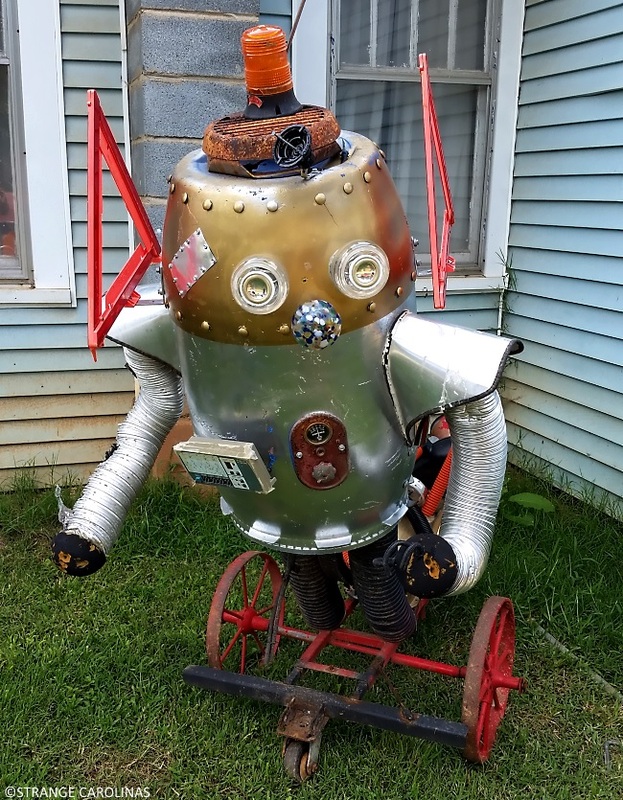 Lucky for me, the robot's creator was out mowing his yard at the time. 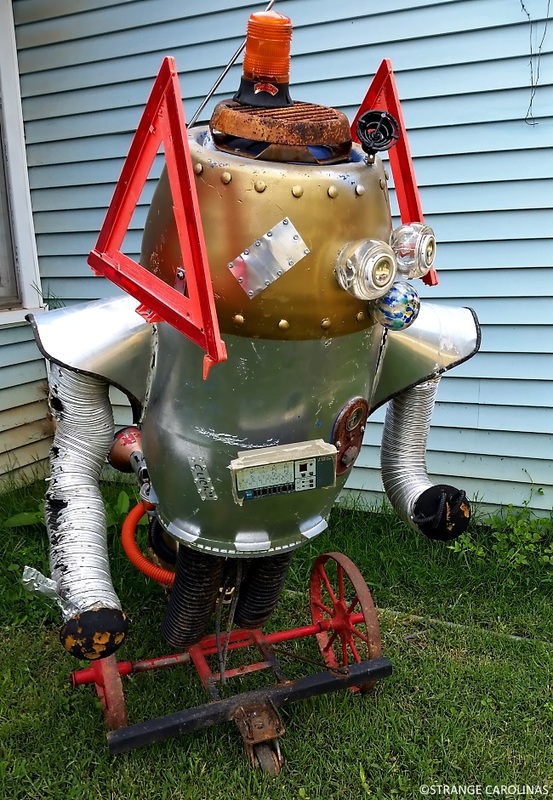 He owns a welding/lawnmower repair business, and does art like this in his spare time. 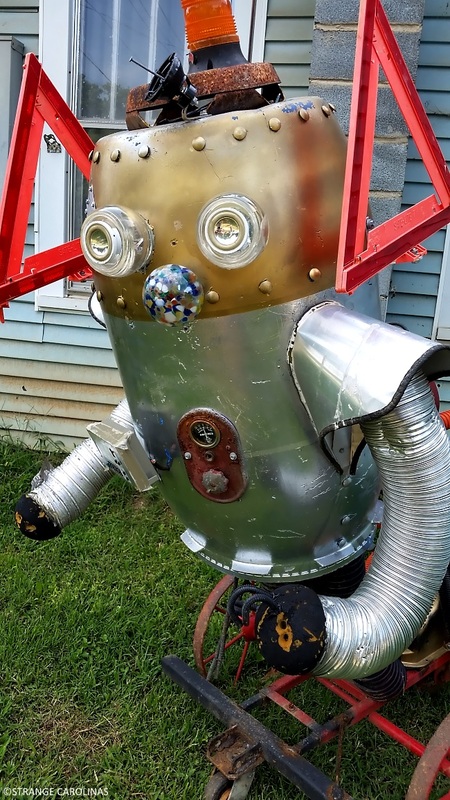 He is planning on making a female robot to go along with this one and is currently working on a UFO in his backyard. 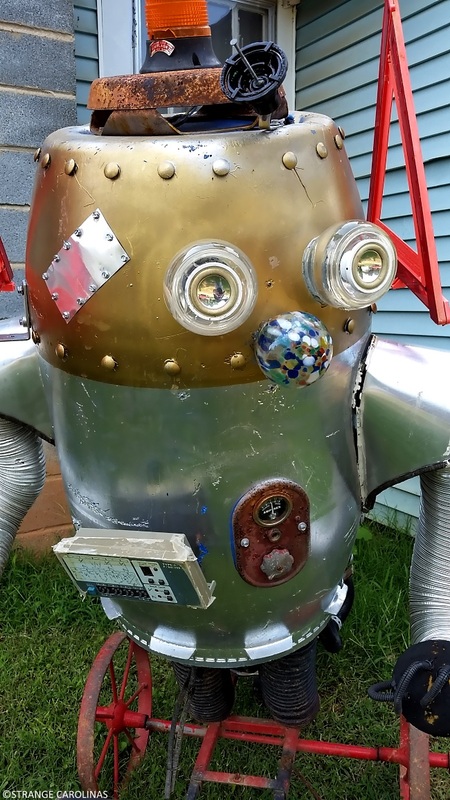 He welcomes people to stop by and taking pictures of themselves with the robot. The gentleman also told me about his riding lawnmower. He said that when he's done with it, it will do anything a lawnmower, tiller, and weedeater can do.